Andy Summers rose to fame in the early 1980’s as the guitarist of the multi-million record selling rock band - The Police. The Police were the number one band of the time and dominated the music scene and the media in the 80s with several number one records. Summers’ innovative guitar playing created a new paradigm for guitarists in this period and has been widely imitated ever since. Gordon Sumner known on stage as Sting, is an English musician, singer-songwriter, multi-instrumentalist, activist, actor and philanthropist. He was principal songwriter, lead singer, and bassist for the New Wave rock band The Police from 1977 to 1983, before launching a solo career. 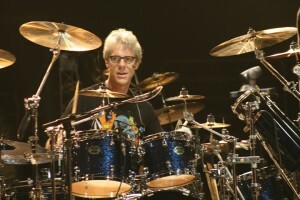 As a solo musician and a member of The Police, he received 16 Grammy Awards®, his first for best rock instrumental in 1980, three Brit Awards®, including Best British Male in 1994 and Outstanding Contribution in 2002, a Golden Globe® award, an Emmy Award ®, and three Academy Award® nominations for Best Original Song. He’s been inducted into the Songwriters Hall of Fame and the Rock and Roll Hall of Fame as a member of The Police in 2003. 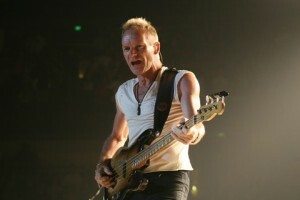 The same year, Sting received a CBE from Elizabeth II at Buckingham Palace for services to music, and was made a Kennedy Center Honoree at the White House in 2014. Brooklyn-based filmmaker Andy Grieve makes his directorial debut with Can't Stand Losing You: Surviving The Police. Already an established documentary film editor, his credits include Jason Kohn’s Manda Bala (Send a Bullet), winner of the 2007 Sundance Grand Jury Prize for Best U.S. Documentary as well as the 2008 Cinema Eye award for Best Editing; Errol Morris’s Standard Operating Procedure, winner of the 2008 Berlin Film Festival Grand Jury Prize; and The Carter, an behind the scenes look at rapper Lil’ Wayne (2009 Sundance Film Festival). In 2009, Andy won an Emmy for Outstanding Short Form Picture Editing for his work on a short film directed by Errol Morris for the “Stand Up To Cancer” prime time special. His editing on ESPN’s 30 for 30: “June 17th”, 1994, directed by Brett Morgen, earned him another Emmy nomination in 2010. Lauren Lazin is an award-winning filmmaker with over twenty years of experience as an Executive Producer of well respected, highly rated, pop culture defining unscripted television. A former Senior Vice President of MTV News and Documentaries, she has spent the past several years Developing /Executive Producing/Showrunning high profile series and specials, and Directing/Producing award-winning documentary features. Lauren is best known for Tupac: Resurrection (2003), TeenNick Halo Awards (2009) and I'm Still Here: Real Diaries of Young People Who Lived During the Holocaust (2005) and has been nominated for 11 EMMY Awards ®, and has also received an Academy Award ® Nomination. The Yari Film Group has firmly anchored itself as one of the premiere homes for independent films. They take pride in collaborating with filmmakers and bringing forth their creative visions. From seasoned veterans -- such as Lasse Hallström, Paul Haggis, and Sidney Lumet -- to first time writers and directors, and continue to seek out innovative stories and storytellers. Cinema Libre Studio is a leader in the production and distribution of award-winning, high concept narratives and social issue nonfiction films. Since 2003, the studio has released over 180 titles and remains at the forefront of the independent film movement, providing the expertise and relationships that filmmakers need to find their global audience across all platforms. Headquartered in Burbank, CA, the team has worked on dozens of award-winning films, including the Sundance Audience Award‐winning Fuel, The End Of Poverty? Rachid Bouchareb’s London River, and Oliver Stone’s South of the Border. The studio is currently developing John Perkins’ best-selling memoir, Confessions Of An Economic Hitman, into a major motion picture and Angola 1, 2 & 3, a narrative film based on the lives of three unjustly incarcerated men confined to solitary in Louisiana’s infamous state prison. U.K. Production Services provided by Live Nation Ltd.
Japanese Production Services provided by AOI Advertising Promotion Inc.
Globo ComunicaÇÕes E ParticipaÇÕes S.A.
MTV’s “MTV News” and “MTV Promos” used with permission by MTV. © 2011 Viacom Media Networks. All Rights Reserved. by Viacom Media Networks, a division of Viacom International Inc.
MUCHMUSIC, a division of Bell Media © Bell Media Inc. All Rights Reserved. Patches © D.C. Thomson & Co., Ltd. Headline from Rolling Stone issue dated May 3, 1979. Rolling Stone ® is a registered trademark of Rolling Stone LLC. Headline from Rolling Stone issue dated February 7, 1980. Published by Reve a Deux Music (BMI). Used with permission. Jamarnie Music (PRS). Administered by Bluewater Music Services Corp.
Chris Trigg, Vintage & Rare Guitars London, Ltd.
© OTL Distribution, LLC 2012. All Rights Reserved. THE BERNE CONVENTION AND ALL NATIONAL LAWS GIVING EFFECT THERETO.